There are two words within the world of fragrance that represent the apex of masculine perfumery. 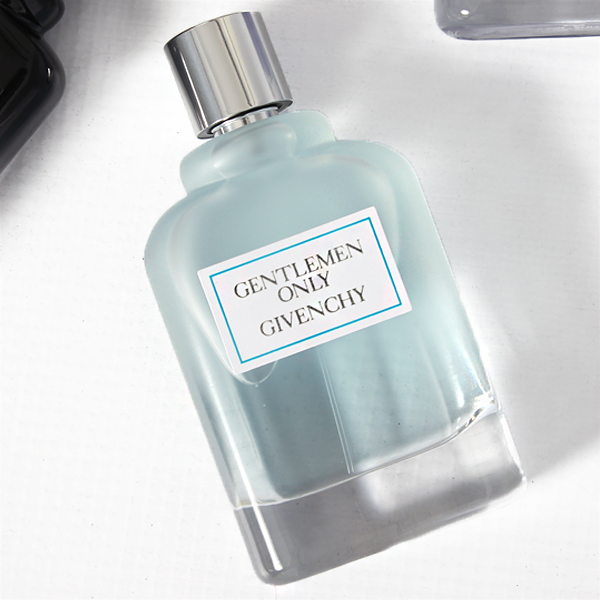 Both those words begin with the same letter – two capital G’s that speak of quality, handsomeness and an icon of perfumery. 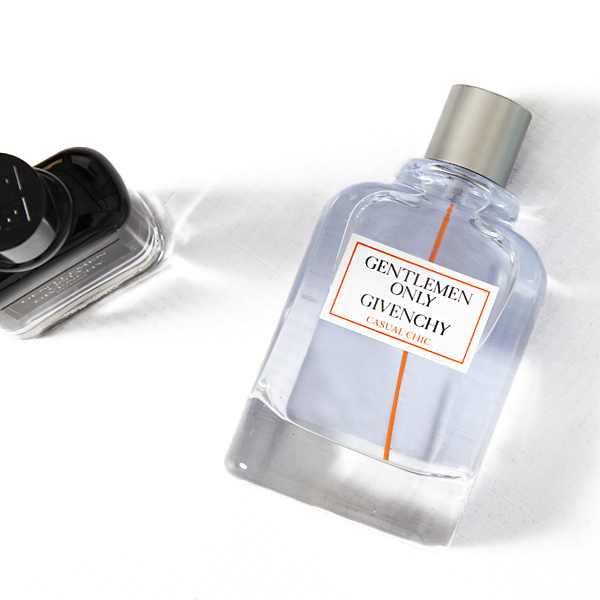 Those two words are ‘Givenchy Gentleman’ and it’s safe to say that the classic launched in 1974 is one of the true pantheons of modern masculine fragrances – a rich and aromatic masculine that smells as good today as it did back in the day. 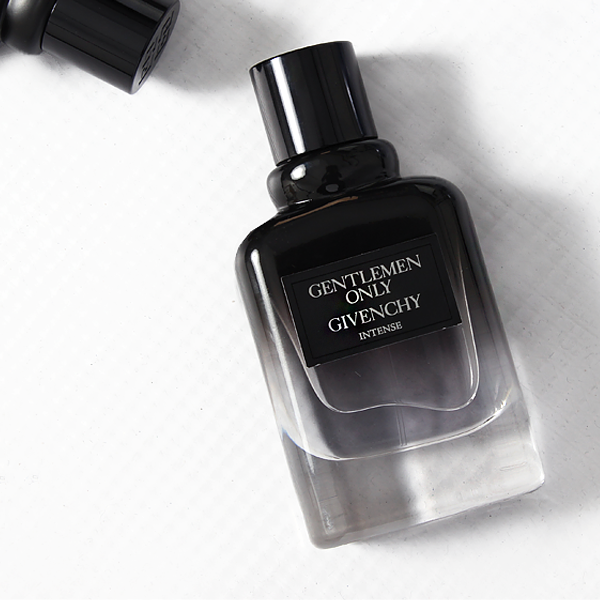 Givenchy knows just how good this fragrance is and in 2013 they thought that they would bring a new lease of life to Gentleman with Gentlemen Only – the classic masculine for the man of today. Gentlemen Only takes the idea of ‘classic refinement’ found within Gentleman and refines it further to be in tune with the tastes of today. Gentlemen Only is all about being the most elegant, the most enigmatic, and definitely the most stylish man in the room. It’s the scent for the affable, the easy going and the kind, with an olfactory signature that is easy but also wonderfully complex. 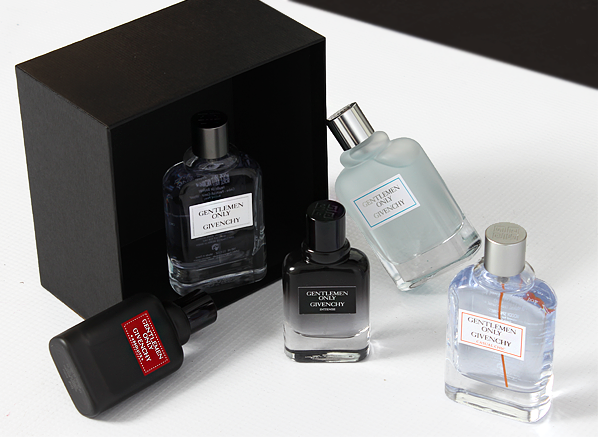 There are five interpretations of Gentlemen Only to date, ensuring that there is a scent for every man on every occasion. In this post, I’ll take you through each of these five ‘gents’ to give you an idea of which is the one for you. Let’s sniff! 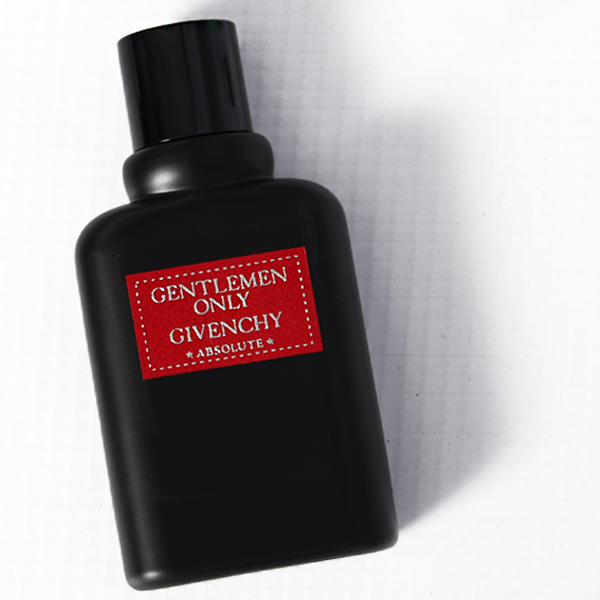 Gentlemen Only, the original, is an aromatic fragrance rich in spice and citrus up top, supported by a tactile base of smooth woods and cooling incense. My first impression of Gentlemen Only is that it feels effortless. It’s the kind of scent one could pair with any outfit, whether that be a t-shirt and jeans or a three piece suit. Gentlemen Only is fresh enough to be casual but also hosts enough complexity to feel elegant. This fragrance is a fully-fleshed out masculine that speaks to the versatility of the modern man, showcasing an array of facets (warmth, freshness, sweetness, spice etc) in a package that is undeniably handsome – oh and infinitely wearable too! Gentlemen Only Intense takes the original signature and deepens it. Think of Gentlemen Only dipped into dark black paint to create an ombre effect and you’re on the right track. The spice is amped up, with a prominent cardamom note presenting itself in its full nutty-aquatic goodness in the opening. Underneath lies the original’s signature incense and woods, however, this time they are joined by the almond warmth of tonka bean, the sour sharpness of patchouli and the meaty scent of leather. If Gentlemen Only was the plain white tee or the pale blue blazer then Intense is the black leather jacket. Casual Chic strikes me as the sporty one of the bunch and wins the award for most likely to be chucked in a guy’s gym bag. It pays homage to Gentlemen Only by shining a spotlight on the original’s citrus and spice notes. The opening is a clash of ginger and lemon, creating a bracing accord that feels lively and athletic without relying on aquatic or marine notes. The difference comes in the base, which veers away from the robust nature of woods to the magic of Ambroxan, a synthetic aroma chemical found within ambergris. Ambroxan brings expanse to fragrance as well as a salty, skin-like sweetness. In Casual Chic the Ambroxan blends with sandalwood to create a smooth, creamy base with a mineral feel. It really is quite striking. Also, that pale blue juice contrasted by the orange spray mechanism is so effortlessly stylish one can’t help but want it. Absolute is the richest and most intense out of all Gentlemen Only incarnations but it never feels particularly heavy, nor does it stray too far away from the character of the original, in fact, it gives the impression of an overt and extroverted take on the spirit of Gentlemen Only. The fragrance is a contrast of nutty sandalwood and smooth, creamy vanilla, with a touch of bergamot and nutmeg to bring out the complex accents in each. It’s the most dressed up version of Gentlemen Only, speaking entirely of black tuxedos and bow ties and giving the impression of something more sensual and dare I say, a little bit cheeky. This one is a rather minty marvel indeed! Created as the freshest and lightest scent in the Gentlemen Only wardrobe, Fraiche avoids masculine clichés of calone and citrus to present something that is delightfully, well, minty! The green theme of mint is extended by vetiver and sage, which add a nutty, herbal feel that creates a bit of depth to the effervescence of the top notes. 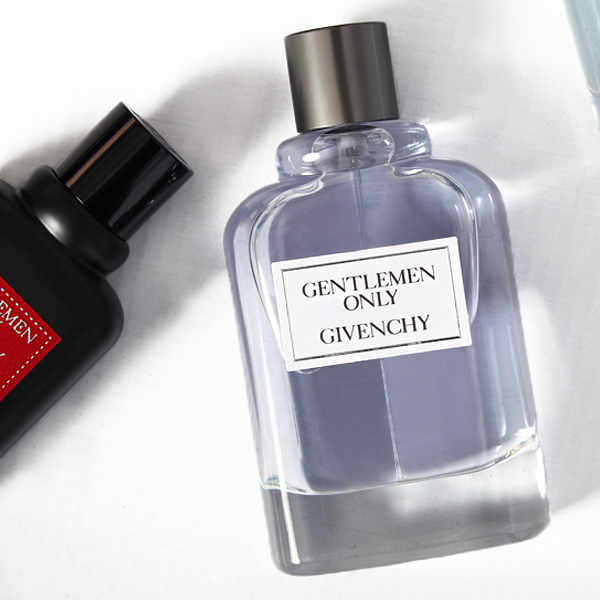 Each of the five fragrances in the Gentlemen Only collection shares a connection with each other and for Fraiche that link is the wonderful Ambroxan which adds a mineral air to the fragrance, making it feel everlasting and endlessly refreshing. All you have to do is RT this tweet to enter! The competition will end on Wednesday 24th May and the winner will be announced on Thursday 25th May. The competition is open to UK entrants only – good luck! No purchase necessary. A purchase will not improve your chances of winning. Open to UK residents only. Contest begins 17th May 2017 and ends 24th May 2017. One winner will be selected in a random drawing on or about 25th May 2017. If the winners don’t respond within 7 days, the competition will be redrawn. Prizes must be accepted as awarded; not redeemable in cash or credit. This entry was posted on Wednesday, May 17th, 2017 at 1:09 pm and is filed under Candy Perfume Boy, Fragrance, Gifts, New products, Spotlight On. You can follow any responses to this entry through the RSS 2.0 feed. You can skip to the end and leave a response. Pinging is currently not allowed.